Word has it that Sony's solution to its sudden PS3 piracy woes is one that PC developers have been using for, like, twenty years. Ever since the PS3 first had its copy protection cracked back in August, things have been going downhill for Sony and its sleek black console. The gaming giant has seen its attempts to counteract piracy via software updates foiled, so it may be trying a more oldschool approach: serial codes. According to Dutch website PS3 Sense, Sony will be shipping all future PS3 games with unique serial codes, that gamers must register with the console before the game will launch and/or install. 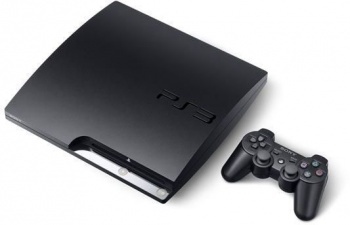 PS3 Sense further claims that each code can be used five times - which would have a massive impact not only on software piracy, but on the used game trade as well. How does GameStop know how many times someone has installed their copy of Killzone 3? If this is true - and I stress that if, as this is an unsubstantiated rumor in all senses of the word - I can't see how this could possibly be a good idea. As widespread PC piracy has shown, install keys are hardly foolproof copy protection, and including install limits and unnecessary DRM would hurt consumers and cripple the PS3 used game trade. For the moment, until we hear something official from Sony, I think it's safe to go ahead and think of this rumor as false. For Sony's sake, it had better be.